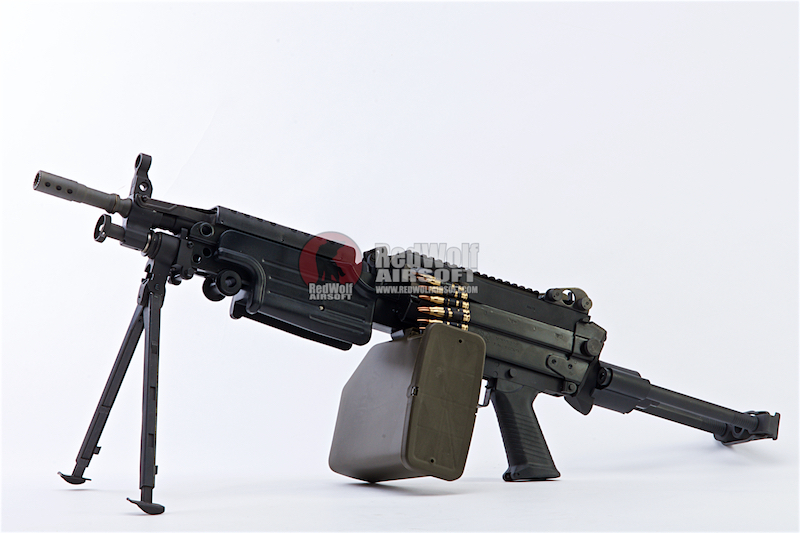 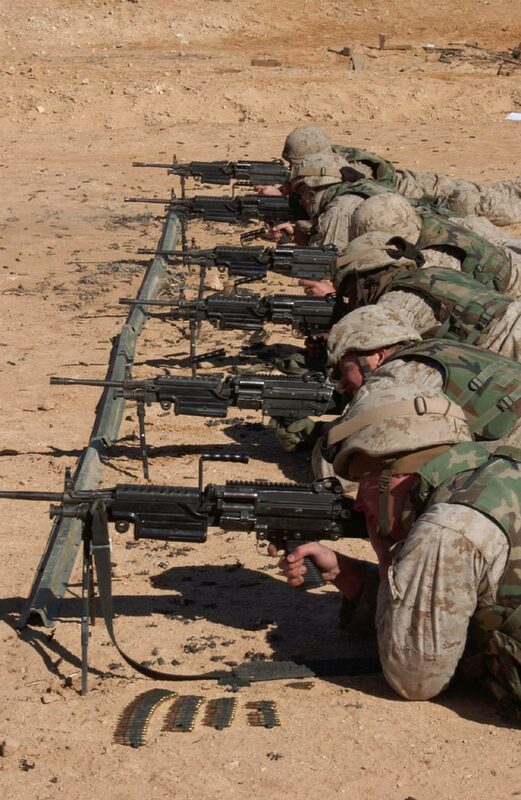 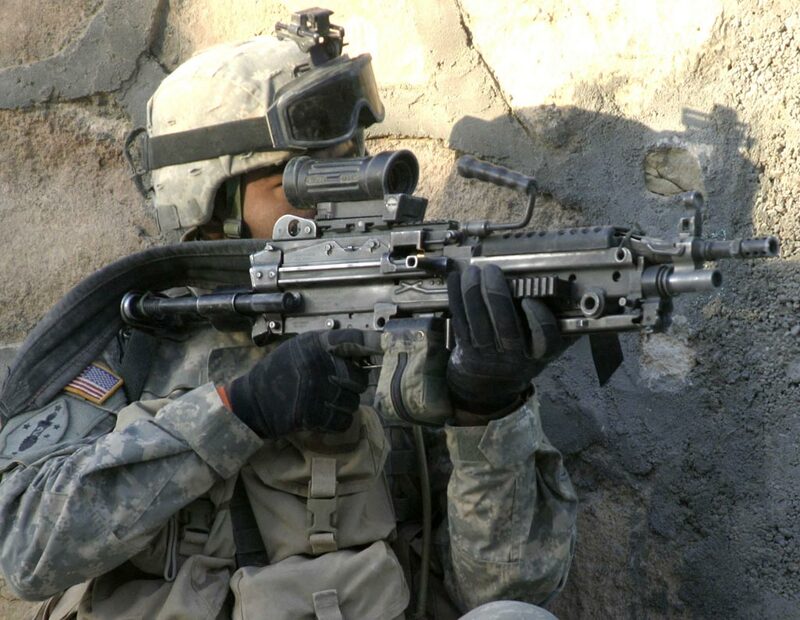 From G&P comes this new M249 Para. 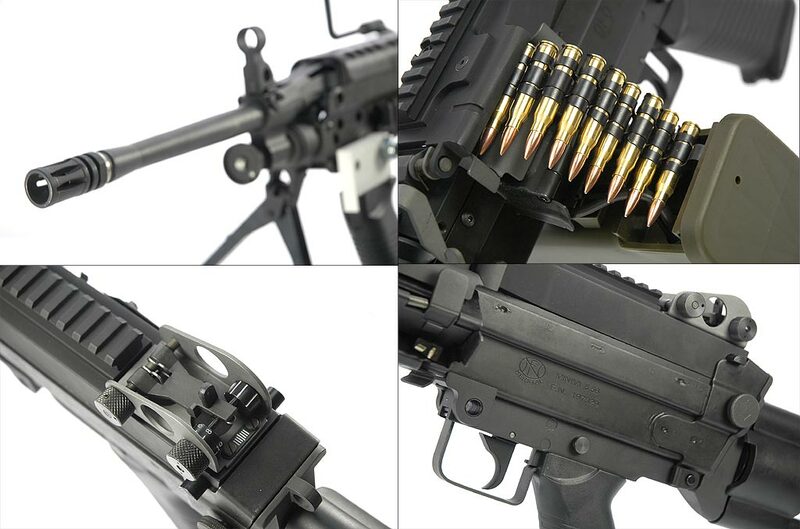 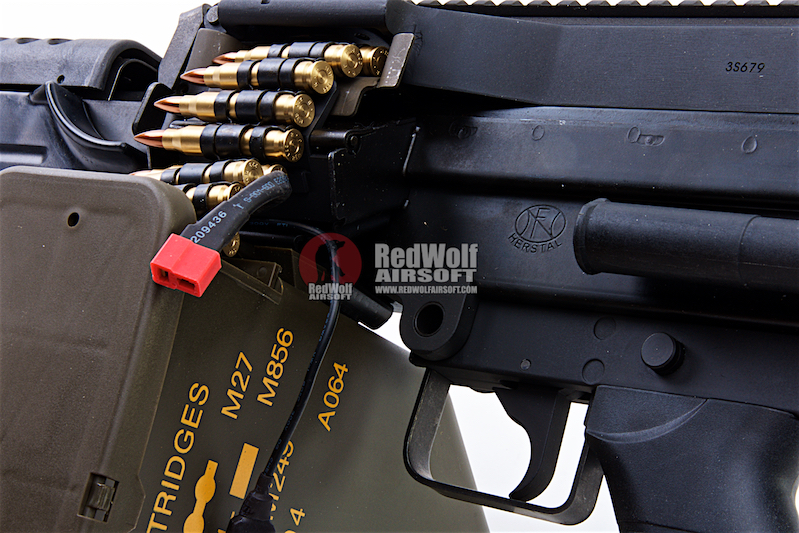 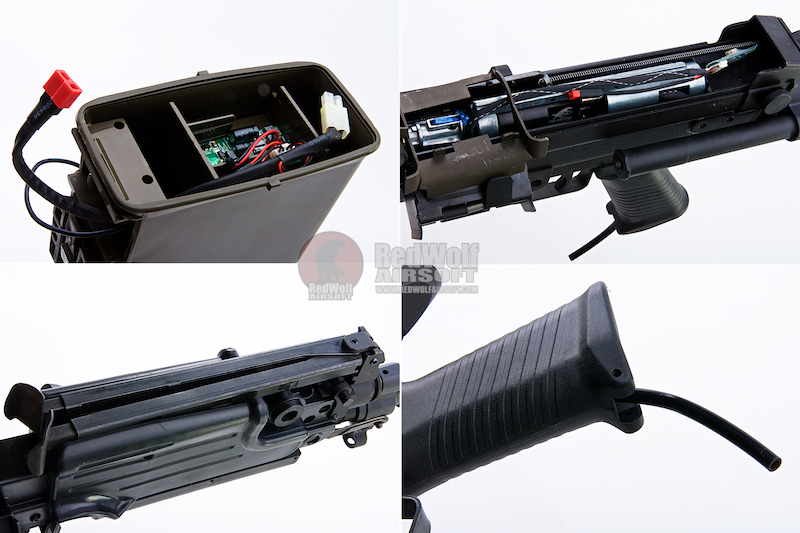 Made from a full-metal construction, it gives this gun a real heft that makes it feel exactly like the real-deal, even the included fake metal bullets, which cover up the connector wire from the mag to the receiver, look and feels real! 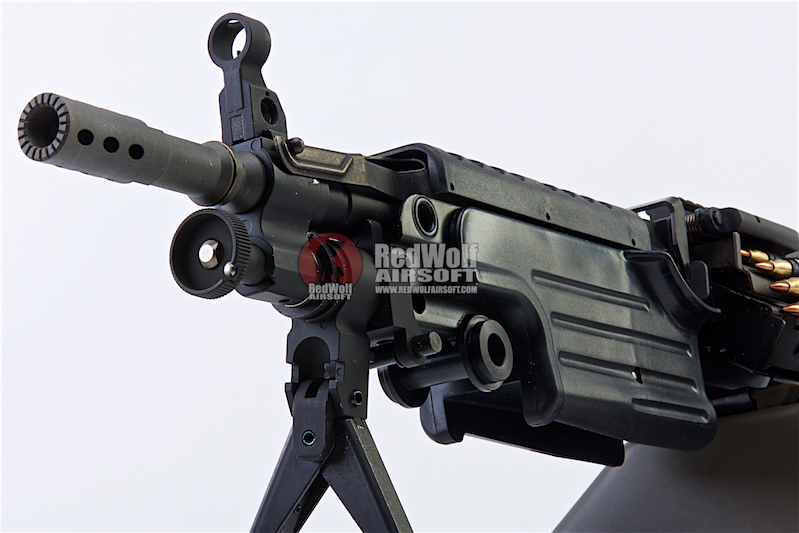 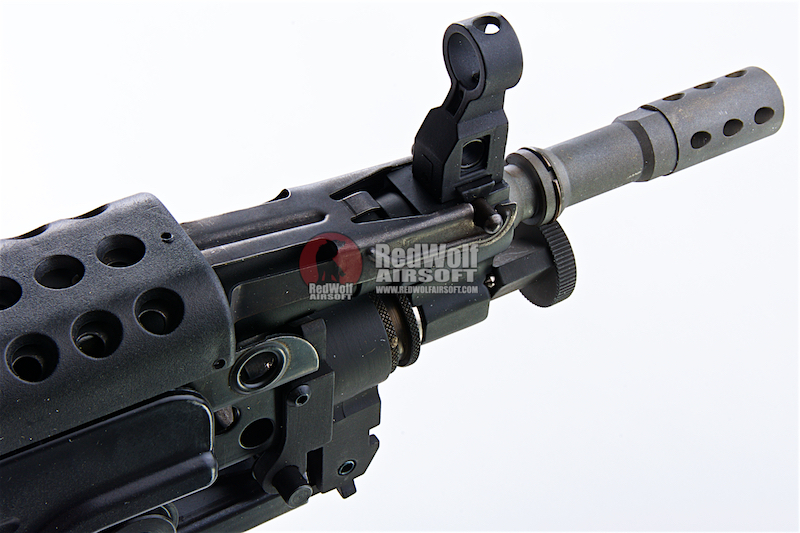 Even down to the Fabrique National de Herstal trademarks on the side of the receiver, which makes this G&P M249 not only feel real, but look real too. 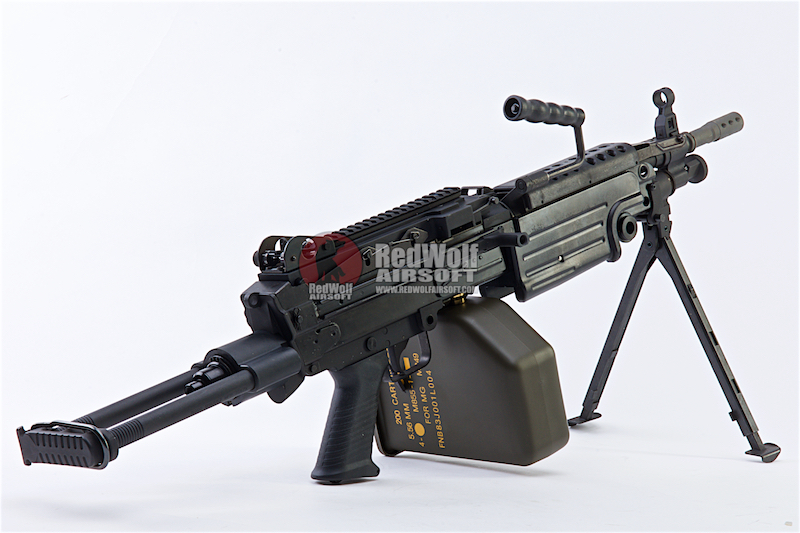 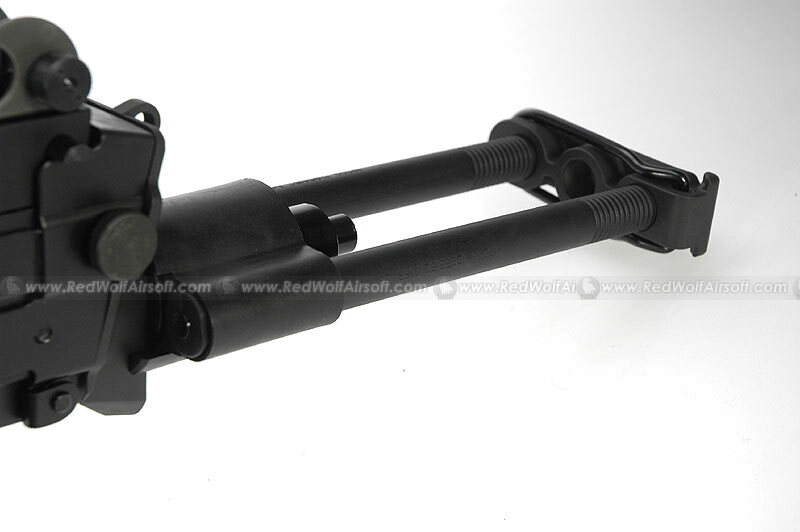 It features the Para stock, which is fully extendabable. 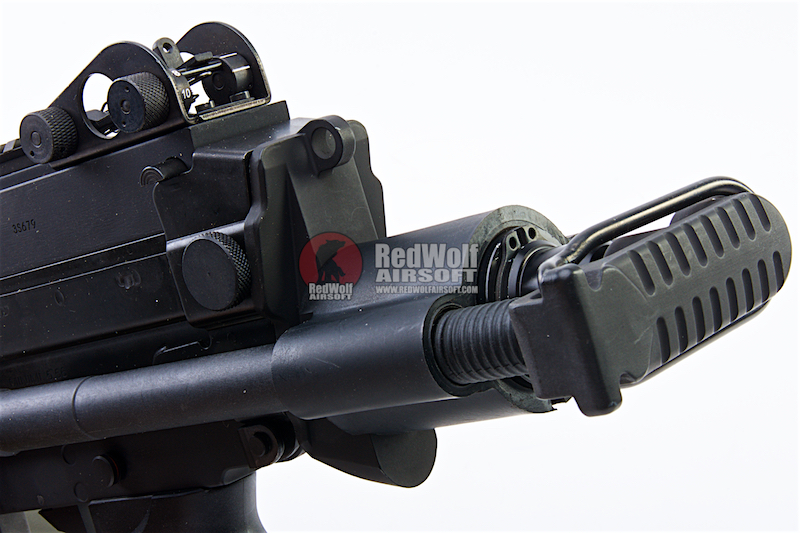 This is the HPA version, a collaboration with PolarStar. 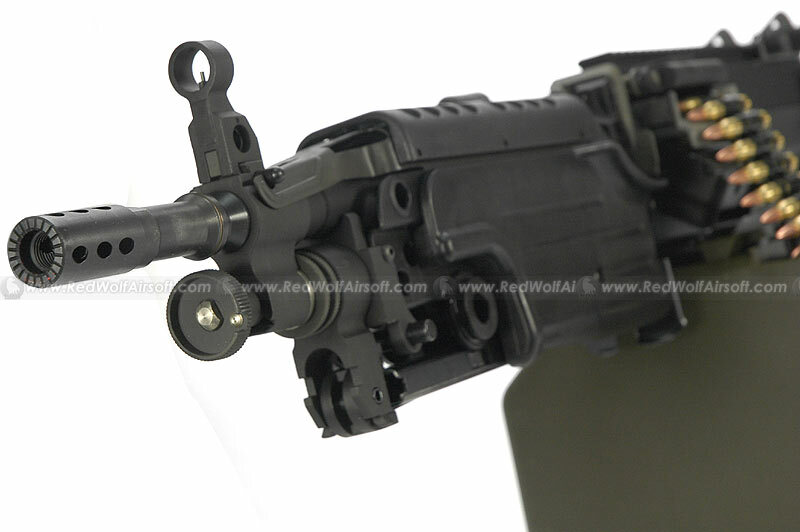 It also features a RIS rail on the main receiver to allow fitments of a scope or sight. 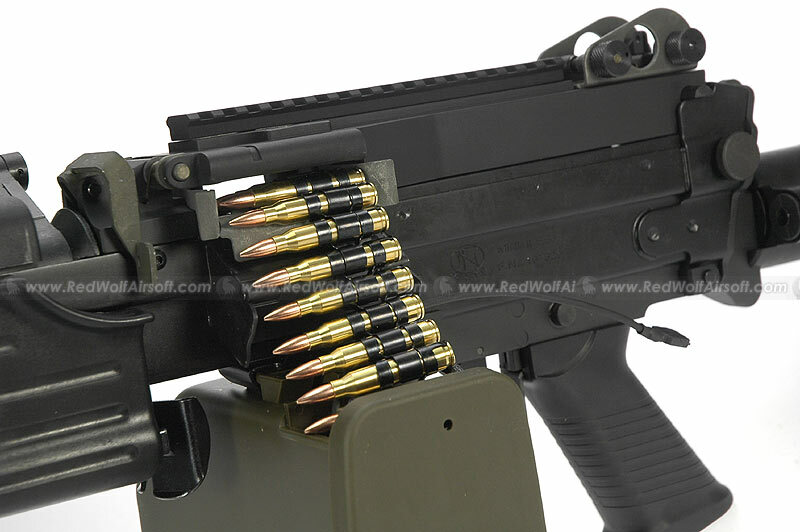 The auto-winding magazine holds a capacious 3000 rounds of BB ammo, as well as having a storage place for a large 8.4v or 9.6v battery, the wire connection is neatly tucked away under a metal flap and covered by the metal dummy bullets. .
Take a look at the pictures below for some detailed pics and photos of the M249 in service.